Content warning: This article contains some sensitive content, including graphic language describing suicide. If you or anyone else needs help finding support or crisis resources, please visit https://suicidepreventionlifeline.org. Every semester, usually between midterms and finals, one or more discouraged students comes into my office, anxiously wanting to talk. Their course work is not going well; they are behind in everything and feel overwhelmed, inadequate, trapped, and discouraged. They want to drop a course and may hint at changing majors or quitting university life. Perhaps they are so burned out that they are tempted to just disappear … what a relief if everything would just go away. … A student furiously rides his bicycle around and around in a large empty parking lot, like a caged wild animal, lap after mindless lap—at four o’clock in the morning. Trapped for weeks in a downward spiral, frustrated at being unable to work, he feels guilty about trying to relax. He is exhausted but unable to sleep. This cannot go on. Maybe a change of venue would help. A few months later he transfers to another university. But he brings along the same person he was before. Within six months the solitary student finds himself, late one Friday night, sitting under the stars on a seemingly deserted campus, as everyone else whoops it up at the cafés and bars across the street. The student hears the laughter and music but cannot bring himself to join in. To leave tasks undone makes him feel irresponsible, but if he returns to them he steps back into a prison. So there he sits, pulled between opposite poles of duty and frivolity, trapped in a wearisome pattern grown too familiar. Although he has been in school a long time, somehow he missed the lesson on mental maintenance. Maintenance requires occasional downtime. For a motorcycle to keep on going for the long term, its engine’s oil must be periodically changed. But you can’t change the oil while the engine runs at 3000 RPM. This student soon leaves the new university too and goes home, the place where, as Robert Frost described, “When you have to go there, they have to take you in.”1 No one at the university seemed surprised by his sudden departure. When this strain of music sounded, all the things that Ghost had shown him came upon his mind; he softened more and more; and thought that if he could have listened to it often, years ago, he might have cultivated the kindnesses of life for his own happiness with his own hands, without resorting to the sexton’s spade that buried Jacob Marley. Some of us have to learn things the hard way. 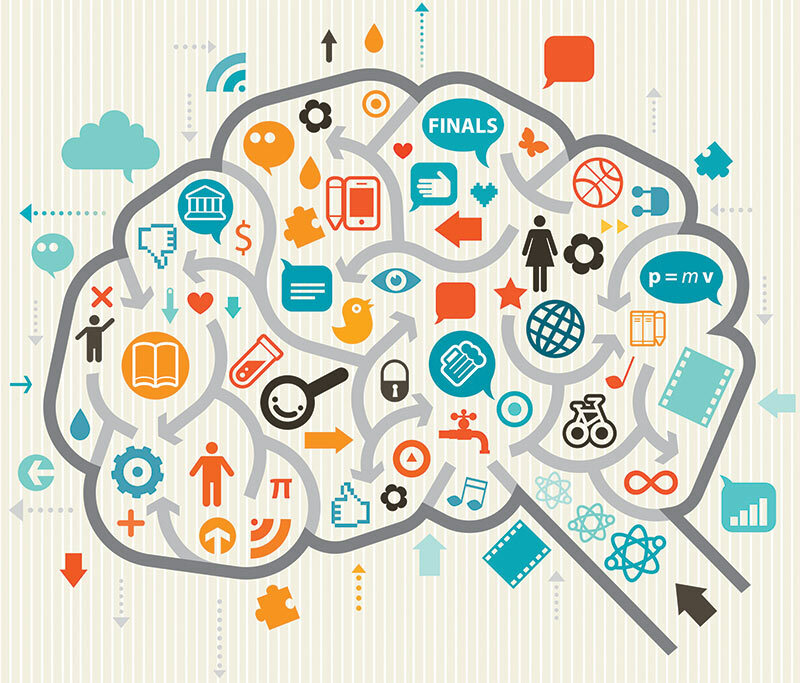 In university life our most important lessons have nothing to do with courses and majors. The greatest lessons are about ourselves and about life. Although I would not want to go through those days again, I am grateful for them now. When each despondent student looks into my office and asks if we can talk, I can say, “I’ve been there.” Most discouraged students are not suicidal, but I don’t take that for granted. I have been a faculty member in a building where a student took his own life by diving down an eight-story stairwell one beautiful Thursday afternoon. That student, we learned, had withdrawn from the university earlier in the week. The previous Monday a student had come to my office and asked me to sign a withdrawal form. I signed, he left, and I turned back to my desk. Today, if you come to my office to withdraw, you and I are going to have a long conversation, and not just about the course. If you jump ship from my course or the university, that’s fine; but I must know where you’re jumping to. Not, I pray, down a stairwell. That is never the answer, even if you see no other way out at that moment. #1. Never, never, never make an irreversible decision based on how you feel at the moment. Every year, about a dozen university students out of every 100,000 commit suicide.4 Before you dive down a stairwell, for once in your life decide to let that dilemma go. Go ride a bike, go dancing, go to a concert, go TP your professor’s house . . . get out of yourself and do something fun. Have coffee with a friend and share your struggles. If you are in a no-way-out crisis and have to act now, call a suicide hotline, go to an ER—tell yourself you can always dive tomorrow, but not today. When the immediate crisis has abated, pack your car and take a spontaneous road trip, even if you have to drop out of school (as I did—sometimes being temporarily irresponsible is the most responsible thing you can do). You may end up as a coffee shop barista at Lake Tahoe or a guide for a Grand Canyon river trip company, interesting experiences that will give you time to renormalize your mind. If you decide to go back to school, you can always make the necessary apologies (as I have had to do). At least there will be pieces that can be put back together, and your story will keep going. As a professor, I will gladly work with you on putting the pieces back together whenever you return—that beats reading your obituary. #2. Do not get so obsessed with the goal of tomorrow that you overlook the joys of being alive today. Henry David Thoreau observed that, “The cost of a thing is the amount of what I call life which is required to be exchanged for it.”5 The only reality we genuinely have is this present moment. However pressing the task at hand, take a look—really look—at that gorgeous sunset. We must work for the future and remember the past, but the living takes place right now. 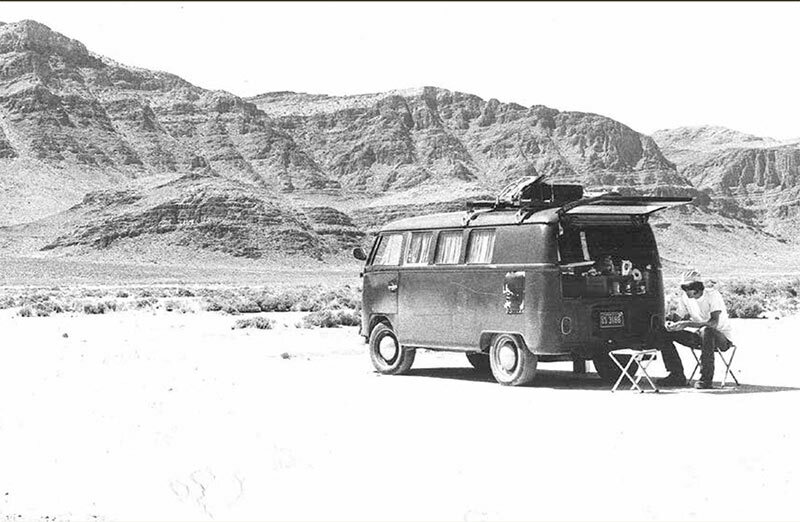 The author is shown sitting behind a 1964 Volkswagen bus in Sevier Lake (a salt flat) in western Utah, during a summer in his graduate school years. Out here peace of mind could be found. Why he did not do this more often back then he does not understand now. Photo by Douglas Strickland. #3. Keep things in perspective. Life and physics are too important to be taken too seriously. If your self-worth depends on grades and accolades, that’s a self-serving dead end. No matter how good you are, there is always someone better. The only comparison I should be making is against myself: Am I giving it my best, so that I won’t be a hack?6 Being another Richard Feynman is not the measure of success; we already have Feynman. But we need you to be you. You have a unique set of experiences and passions and skills to offer. Brilliance is nice, but quality is what counts. And if we never had any difficulties, where would our most colorful stories come from? #4. Setting aside periodic downtime is not goofing off— it’s maintenance. Albert Einstein did not have his “miraculous year”7 in 1905 through relentless nonstop work. He knew how to enjoy life. In 1902, while in graduate school and shortly before he got a job in the Swiss Patent Office, he met two fellows who became lifelong friends: Maurice Solovine and Conrad Habicht. The three comrades began meeting regularly over frugal dinners of sausage and cheese in their apartments to discuss physics and philosophy. Sometimes they took mountain hikes together. They called their three-member society the “Olympia Academy,” poking fun at the pomposity of learned societies. Rather than delaying Einstein’s immortal work, those sessions of relaxed conversation, with friends at a table or while sitting on a mountain awaiting the sunrise, helped his creativity bloom.8 When I look back on it now, I wonder what was so dreadfully important in the office that I could not give it a rest for a couple of hours once or twice a week. (My father used to ask me, when I was stressed out about something, “Will it matter 10 years from now?” That’s a great question.) Had I done so, I would have returned refreshed to the tasks waiting there, and completed them with effectiveness and genuine joy. I know that to be so because that’s what I do now. #6. Strive for excellence, not perfection. When I was a TA, each week I gave a 10-point quiz. One student who I shall call Elisabeth got 10/10 every week—except one week, when the score was only 9. After class the student argued with me for 20 minutes about that one point. The irony of the situation was that I dropped the two lowest quizzes anyway, but for the persistent student, this argument was not about the quiz average—the student’s ego demanded nothing less than perfect scores across the board. That’s a crushing burden to carry around—and is counterproductive too. #7. Notice that most of our difficulties are self-inflicted. When I walked out of graduate school, my professors were not telling me to leave. When I returned after a year of reflection, I decided that two things would change: First, I was going to enter the lives of people around me, on and off campus; and second, when I left the final time, it would be either because I graduated or because my professors had thrown me out, but I was not going to take myself out. not through the slightest partition shut out from the law of the stars. The inner—what is it? hurled through with birds and deep with the winds of homecoming. Thanks to Brad Conrad, Rachel Kaufman, and Kendra Redmond for insightful suggestions about this article. Gratitude to my students who come into my office and ask “Can we talk?” and to the mentors and encouragers who were there for me. Robert Frost, “The Death of the Hired Man,” Complete Poems of Robert Frost (Henry Hold & Co., New York, 1949); reprinted in Adventures in American Literature, John Gehlmann and Mary Rives Bowman, eds. (Harcourt, Brace, & Co., New York, 1958), pp. 263–267. Charles Dickens, A Christmas Carol (first published 1843), published in 1957 by Nelson Doubleday, Garden City, NY, as the first of three Dickens Christmas stories, under the title Christmas Stories, illustrated by Walter Seaton. This excellent volume was part of an extensive book club set called “Junior Deluxe Editions.” One of the best things my parents did for me at a young age was to sign me up in that book club. Titles by Dickens, Robert Louis Stevenson, Mark Twain, Howard Pyle, and many others came each month, and it helped make a reader out of me. Of course, some students have the opposite problem; they never get around to getting the problems started, or they do them carelessly. I am not talking about those students here. D. E. Neuenschwander, “Sometimes I Feel Like Quitting,” “Some Facts About Student Depression and Suicide,” and “The Longer View,” SPS Observer (Fall 2004), pp. 1–7. Henry David Thoreau, Walden (first published 1854), Sherman Paul, ed. (Houghton Mifflin Co., Boston, MA, 1960). In a radio interview, photographer David Plowden describes how, when he decided to become a photographer, he told himself, “Plowden, don’t be a hack. Do it right.” David Plowden interview titled “Disappearing America,” from “The Story,” North Carolina Public Radio, broadcast on National Public Radio, Dec. 7, 2007. Einstein’s Miraculous Year: Five Papers That Changed the Face of Physics, John Stachel, ed. (Princeton University Press, Princeton, NJ, 1998). Samuel Crothers, “Every Man’s Natural Desire to Be Somebody Else,” reprinted in Exploring Life Through Literature (Scott Foresman and Co., Chicago, IL, 1964), pp. 413–420. Ahead of All Parting: The Selected Poetry and Prose of Rainer Maria Rilke, translated and edited by Stephen Mitchell (Modern Library, New York, 1995), p. 191. Dwight E. (“Ed”) Neuenschwander was born in New Mexico, grew up in Kansas and Colorado, and graduated from the University of Southern Colorado in Pueblo in 1976 with a degree in physics and math. He did some graduate work at Kansas State University in Manhattan and eventually finished a PhD in physics at Arizona State University (ASU) in Tempe in 1983. Dwight taught at ASU and Northern Michigan University in Marquette, and has been a professor of physics at Southern Nazarene University (near Oklahoma City) for 30 years. A former director of SPS and Sigma Pi Sigma (1995–97), he edited SPS publications for 15 years and continues writing the “Elegant Connections in Physics” column for The SPS Observer and Radiations, the official publication of Sigma Pi Sigma. He served on the SPS Council 1991–2016, coached the US Physics Team that competes in the International Physics Olympiad, and authored books for undergraduate physicists, including titles on Noether’s theorem (2017, Johns Hopkins University Press) and tensor calculus (2015, Johns Hopkins University Press). Dwight enjoys mountain and desert solitude and starry nights; motorcycle trips and old cars; the Beatles’ Abbey Road and Samuel Barber’s Adagio for Strings; books, art museums, and trying to operate an alto sax. He and his wife, Rhonda, have two sons and five wonderful grandchildren. He is pictured above during a workshop at the 2012 Quadrennial Physics Congress of Sigma Pi Sigma (PhysCon), held in Orlando, Florida. Photo by Ken Cole.